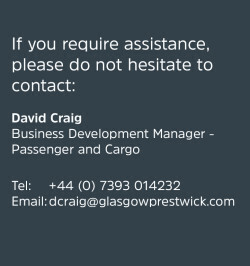 Glasgow Prestwick Airport can offer unparalleled service levels and highly competitive financial packages to airlines or tour operators looking to serve the 2 million people for whom we are the closest airport or the 2.7 million tourists who fly into Scotland each year. 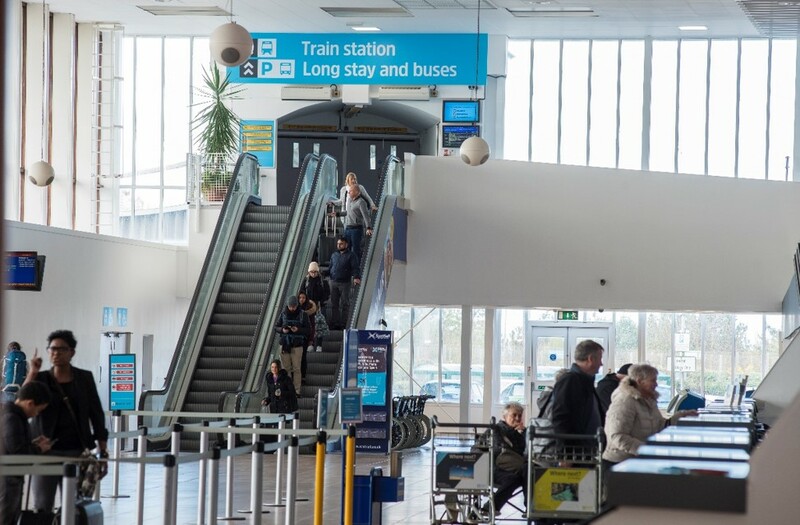 The airport offers functional and flexible passenger facilities, first class customer service, a range of options for onward connections, a one stop shop for aviation and handling services, a track record of reliability and access to a catchment that makes in excess of 1.6 million trips per year. Get in touch to find out more about what we can do to help you meet your business goals and how we can work in partnership to launch new services and see them through to maturity, paving the way to future growth.